What is the best practical seven-seat SUVs? If you're looking for the best SUV for your family, you're spoiled for choice, with plenty of five- and seven-seat options available depending on your requirements. Whether it's space, style, value for money (or all of the above), there's a wide selection of family cars available, and high-riding SUVs and crossovers are hugely popular. Traditional MPVs like the Ford S-Max and Renault Grand Scenic are declining in popularity, which is why cars like the Hyundai Santa Fe, Land Rover Discovery Sport and Kia Sorento have all become available. 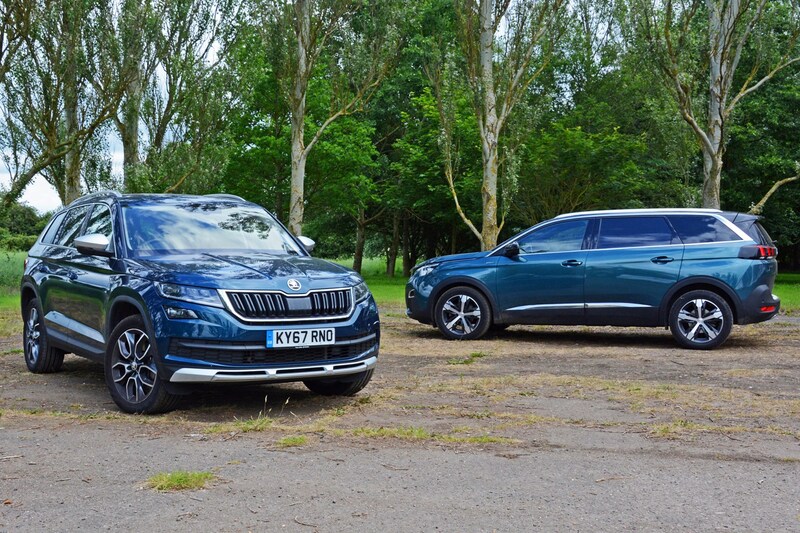 We've brought two of the best together to see which makes most sense as a seven-seat family car: the Skoda Kodiaq and the Peugeot 5008. The exact models tested here aren't quite like-for-like, the Skoda powered by a 190hp turbodiesel with four-wheel drive and DSG dual-clutch gearbox, while the 5008 uses a 131hp three-cylinder petrol, driving the front wheels via a manual gearbox, but still make for an interesting comparison. Extensive is the best word to describe the Kodiaq's line-up. If you want a petrol model, you've got a 1.4-litre TSI with a choice of 125hp or 150hp, the latter of which is available with four-wheel drive and DSG dual-clutch gearbox on top of the regular six-speed manual. More grunt is provided by a 2.0-litre TSI with 180hp on higher-spec models, and comes exclusively with four-wheel drive and a DSG gearbox. To mirror this, the diesel line-up is equally broad, kicking off with a 2.0-litre TDI engine available with a choice of 150hp or 190hp. Both come with the option of four-wheel drive and DSG gearboxes, with the 150hp available across the highest number of trim levels. 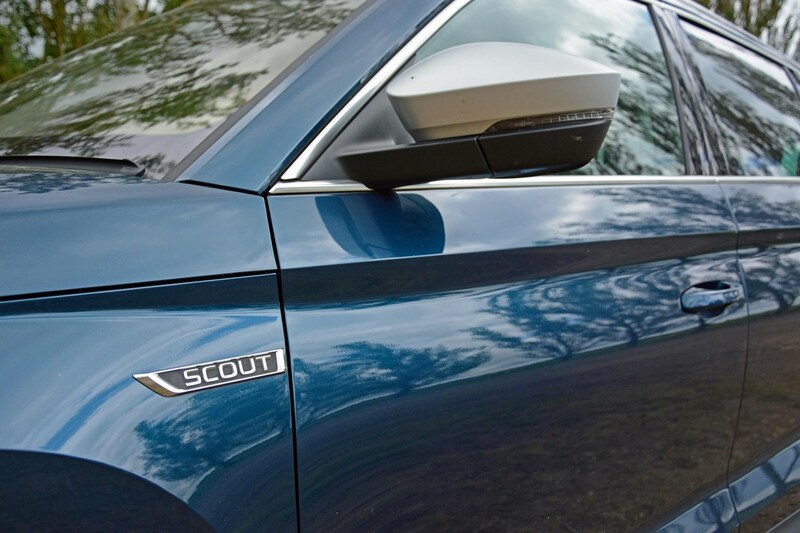 The range starts with the S, moving up to SE, SE L, Scout, Sportline and Edition at the top of the range. The S is five-seat only, and the Sportline is seven-seat only. All the others come with a choice of five or seven seats. While the Peugeot's engine range isn't as broad as the Skoda's, there's still an appealing selection of turbocharged petrol (PureTech) and diesel (BlueHDi) engines available. In addition to the 131hp 1.2-litre PureTech found in our 5008, there's a 165hp 1.6-litre motor, previously called THP, offering close to hot-hatch levels of performance. Diesels still tend to find more favour with buyers of larger cars - their richer seam of torque is difficult to ignore - and the 5008 has a choice of four: we'd probably avoid the 99hp BlueHDi 100, but the punchier BlueHDi 130 with a new 1.5-litre diesel makes a better fist of things. There's even more grunt with the 2.0-litre BlueHDi 150 and BlueHDi 180. A selection of five- and six-speed manual gearboxes are available, with a smooth-shifting eight-speed automatic also available. A plug-in hybrid (PHEV) 5008 with four-wheel drive is expected to join the line-up in 2019. 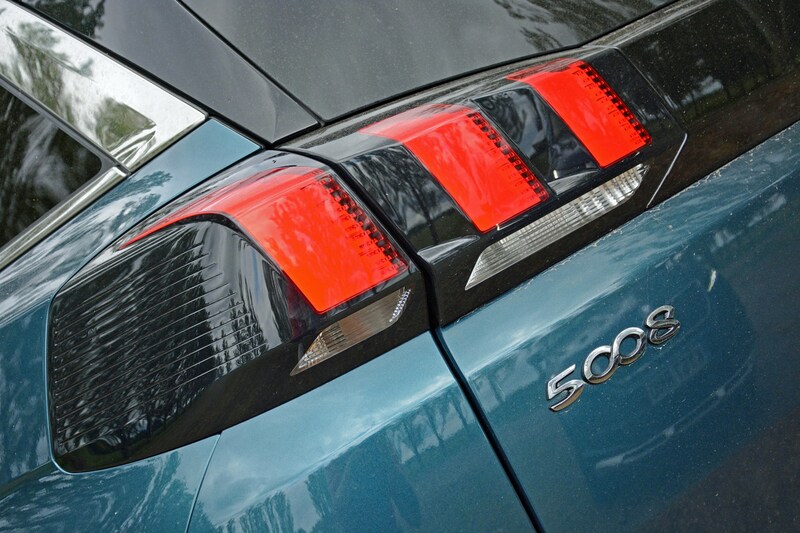 Five trim levels are available for the 5008. Opt for the less expensive Active and Allure models for a softer-looking front end, while the GT Line, GT Line Premium and GT versions have a more aggressive nose with chamfered sections almost bisecting the headlights. What's the best SUV inside? 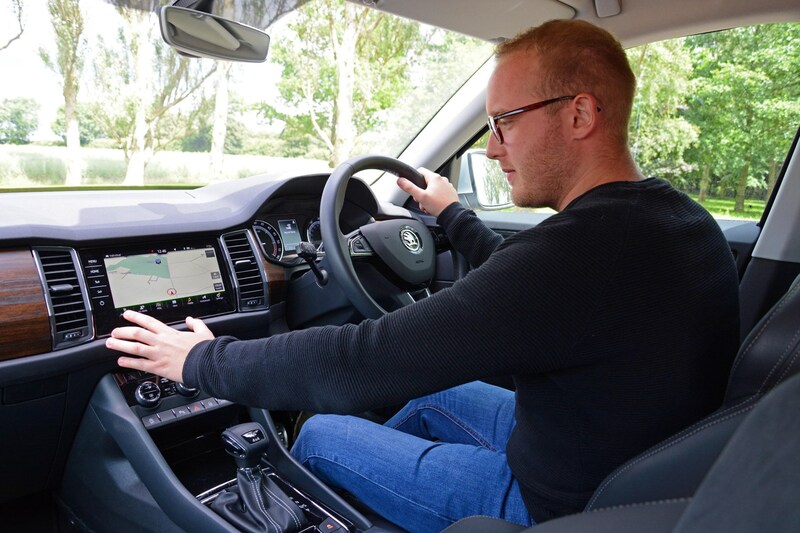 We reckon the Kodiaq has the best Skoda interior to date – if you’re coming from one of the manufacturer’s previous cars (even something as recent as the functional-but-dull facelifted Octavia) you’ll spot an uplift in design and quality of materials used. In other words, the squashy bits are squashier and the plastics lower down match better in terms of pattern and colour. We also really rate the bigger screen in our car – entry-level models get a 6.5-inch one, while 8.0- and 9.2-inch versions are available. There’s a choice of materials for the upper glovebox panel and the trim around the steering wheel surround and door inserts – we’ve got a sort of fake wood look because this car is a Scout, but you can swap that out for a gloss black on other trims if you prefer. Since the first-generation 208 supermini was introduced in 2012, Peugeot has favoured its i-Cockpit dashboard arrangement featuring a smaller-than-usual steering wheel with the instrument panel viewed over the top of it rather than through it. It's a striking effect, but one that feels very natural as you soon acclimatise to it. The 5008 shares its dashboard with the five-seater 3008, but that's no bad thing. It's generally well-constructed, with a number of high-quality plastics employed, but feels slightly inferior to the Skoda overall. It does, however, look considerably more modern and interesting than the Skoda's rather cliff-face arragement, with two screens for displaying all manner of information. 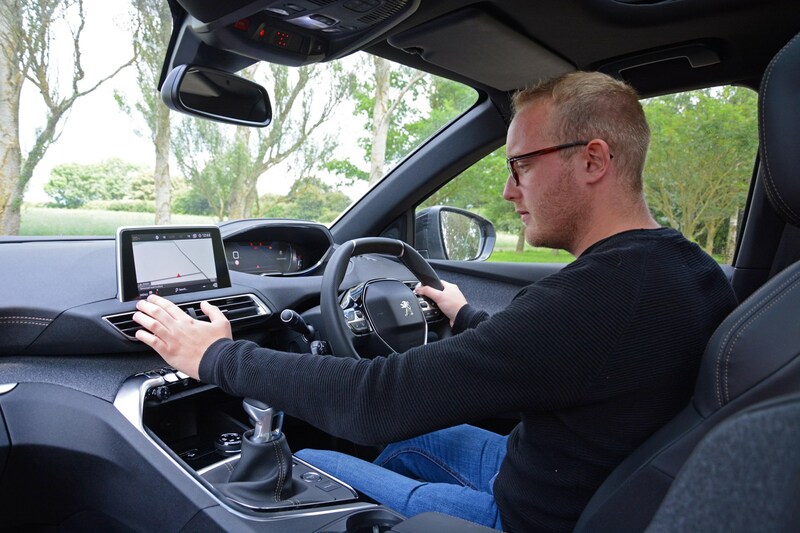 The instrument binnacle screen doesn't look as high-resolution as alternatives in Audis and Volkswagens, for instance, but the tablet-like multimedia screen is much better than Peugeot's earlier efforts in terms of both clarity and usability. In short – yes. One of the most appealing things about the Skoda is the size of its interior – for a modest exterior footprint you get an absolutely vast cabin and boot. The former offers plenty of head and legroom all-round, with a particularly spacious second row. Those in the very back do okay with 905cm between the seat base and roof – realistically only suitable for sub six-footers. As usual the seven-seat variant suffers a bit in terms of outright bootspace compared with the five-seater thanks to the space those extra chairs take up even when folded, but there’s still more room back there than an Octavia Estate, for example. You get 630 litres vs 720 litres in five-seater mode, plus a maximum of 2,005 litres vs 2,065 litres with them all folded. Deploy all seven seats and there’s a small but usable 270-litre boot, about the size you get in a city car, which will take a couple of shopping bags but not much else. Although MPVs have fallen out of favour with family car buyers, Peugeot hasn't thrown away the expertise it developed with the first-generation 5008, hence why you'll find seven individual seats within its vast cabin. 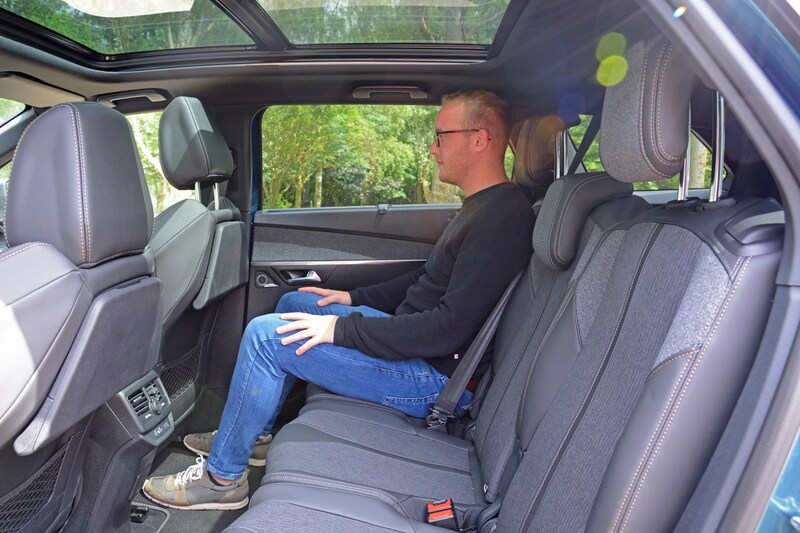 Middle-row passengers are particularly well-served, with three separate, reclining chairs that slide back and forth to maximise space - it feels roomier and airier than the Kodiaq - but the third row is more disappointing. While the seats fold and slide easily into the boot floor - and can be removed entirely to maximise load carrying capabilities - size-wise they're best-suited to pre-teens who don't require as much head- and legroom. Adults could squeeze in there, but a long journey wouldn't be a pleasant experience. With all seven seats in use, the boot is a paltry 166 litres, but use it as a five-seater car and it's a much more reasonable 952 litres, although that's to the roofline. Fold all the back seats down and that maximum volume increases to 2,042 litres, or 2,150 when the rearmost seats are removed - so just roomier than the Skoda. Much better than you’d imagine, which is rather damning it with faint praise. This car is based on the VW Group’s MQB platform, meaning it shares similar underpinnings with everything from an Audi TT to a Volkswagen Passat, plus SUVs like the Tiguan and SEAT Ateca. There’s a common theme in the way all these cars handle – accurate steering, stacks of front end grip and decent body control. The Kodiaq’s engines and gearboxes also see service elsewhere, so we’re well acquainted with the 190hp diesel DSG in this car. It’s punchy and smooth but a little vocal at the top end. One thing that is unique to this car however is the way the gearbox has been tuned – it feels reluctant to kick down a gear or two in response to hard presses of the throttle, which for the most part we really appreciate. There’s 400Nm of torque to play with here, so the Kodiaq is more than able of hauling itself along in higher gears without resorting to a noisy downchange. 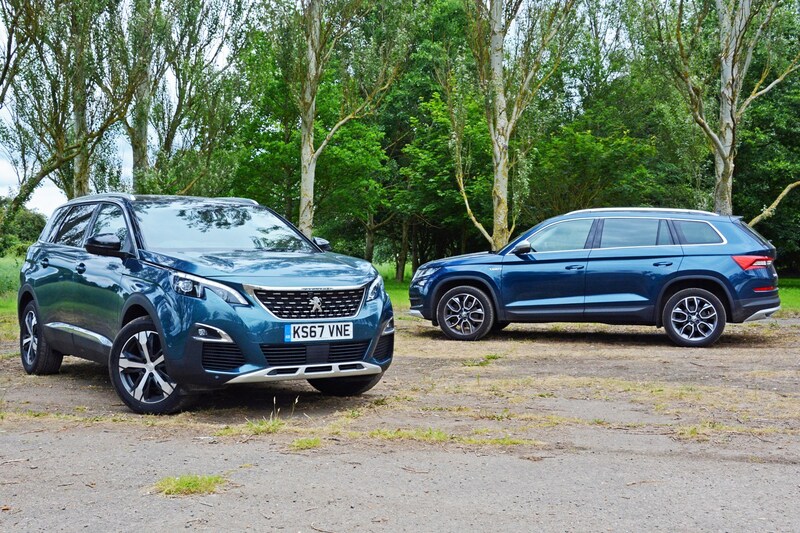 Despite its height, the 5008 feels more like a conventional estate to drive than a rough-and-tough SUV, which isn't a great surprise given its underpinnings are shared with a variety of models across Citroen, DS, Peugeot and Vauxhall brands. As such, it handles neatly, with fine cornering agility and minimal bodyroll - that small steering wheel encourages you to hustle it around bends with vigour. The ride quality is suitably supple for a family car, and feels more compliant the more passengers that are on board. Biggest gripe of our long-term one? The manual gearbox isn't as precise as that transmission type in the Kodiaq. You learn to drive around it by being slower with the gearchange action, but it ultimately lacks satisfaction. 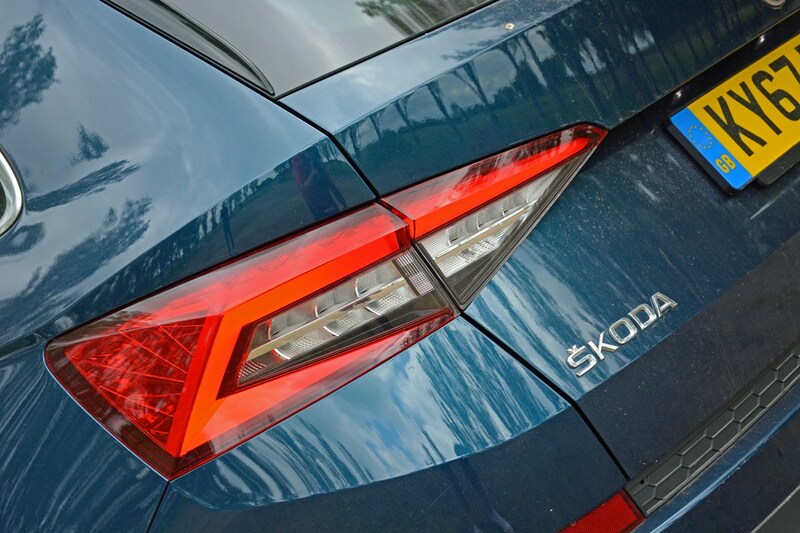 The 190hp diesel is the best all-rounder really - it boasts the second-fastest 0-62mph time and second-best fuel economy in the Kodiaq range, so you can have a more-efficient-but-slower car, or a faster-but-thirstier one. Skoda promises 49.6mpg but we found the high 30s more realistic. Unlike a peaky petrol, the economy doesn't plummet when you drive faster - we never saw less than the low 30s during our six months with the car. 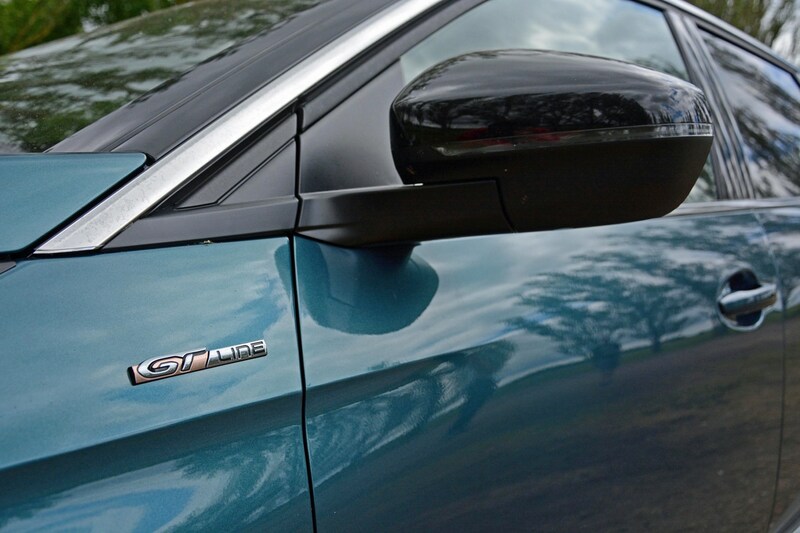 It might seem like a big car for a small petrol engine, but for the most part it works very well and is fine for those who only cover relatively low annual mileages or don't tow with great regularity. Once you've got six or seven people on board it's noticeably slower, but the engine doesn't feel strained, just a bit laboured. Performance is adequate rather than sparkling, with a 0-62mph time of 10.9 seconds, but with a real-world fuel efficiency figure of 37mpg, it's only just shy of the diesel-drinking Kodiaq. Considering that as a fuel, petrol is cheaper than diesel, for many the green pump makes more financial sense. Normally when we pit two cars together that are vying for the same target market, there's a clear outright winner, but not this time. Why? Well, for all the Skoda and Peugeot are both seven-seater SUVs, they go about their business entirely different ways. Appealing to those who'll venture off-road with a greater degree of frequency and where having seven seats that can carry adults with greater ease is a requirement, the Kodiaq is the better option here. Alternatively, the Peugeot will win favour with those who appreciate the flexibility of its MPV-like interior and ultimately its ability to carry slightly more stuff in its bigger boot. Plus, it looks a little more interesting inside and out. There you have it - a score draw.